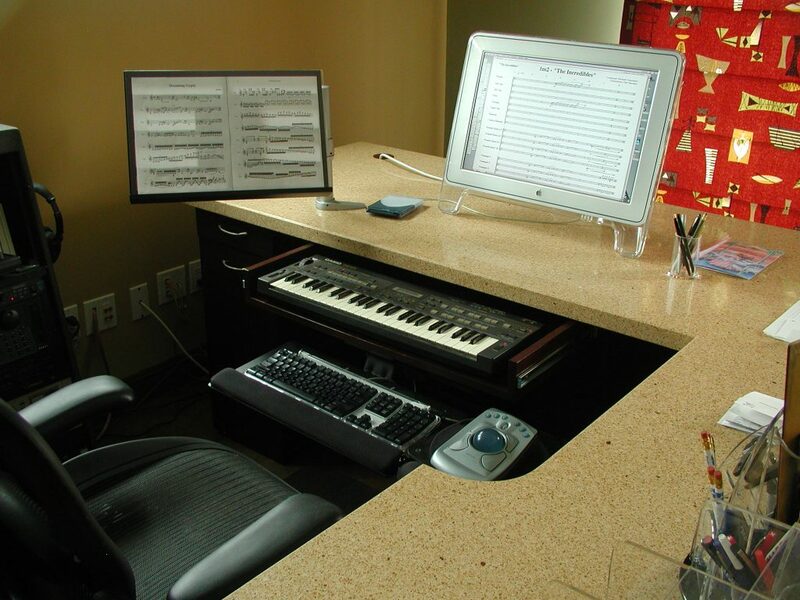 Composer’s Desk: Noted film composer and orchestrator Tim Simonec contacted Rich to build a custom desk that suited the specific needs of his trade. 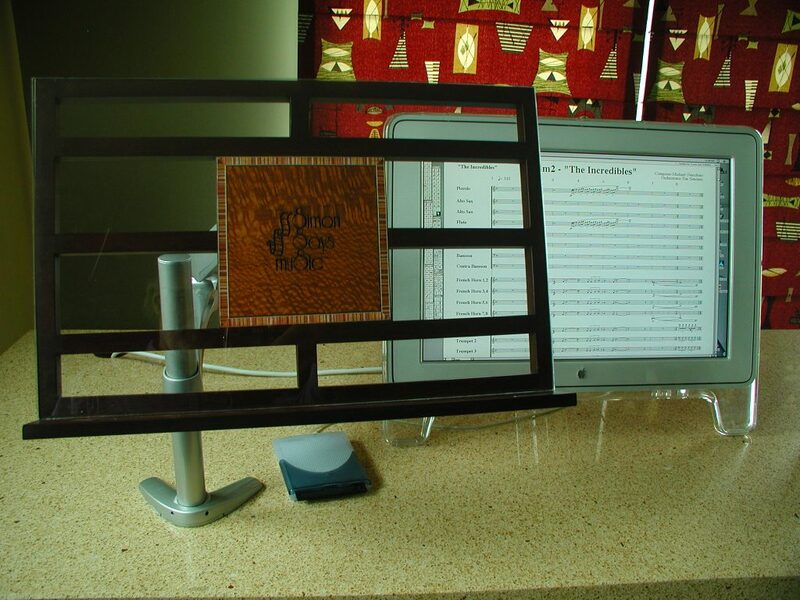 Working with state-of-the-art computer programs, Tim composes and orchestrates with seldom a note being played! 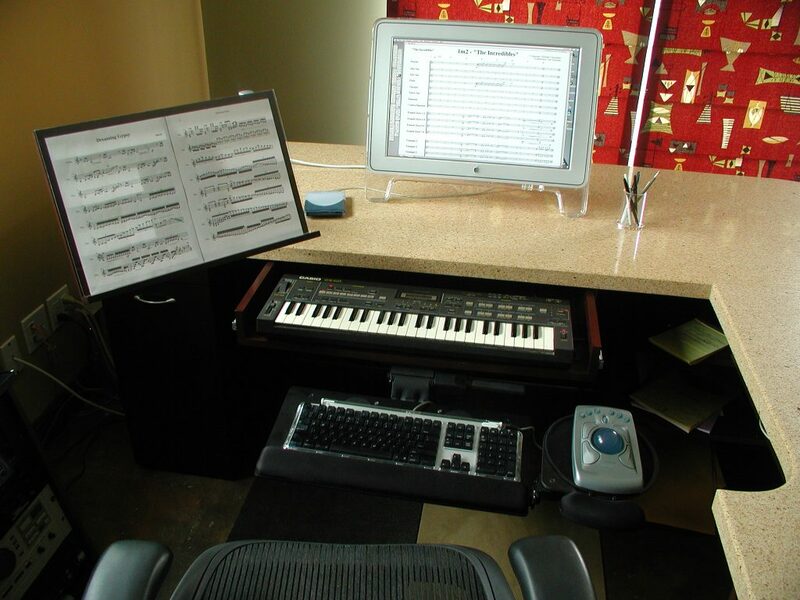 The desk had to accommodate both CPU a two-sided music page printer, as well as provide score storage and a music stand that could be moved to any position. 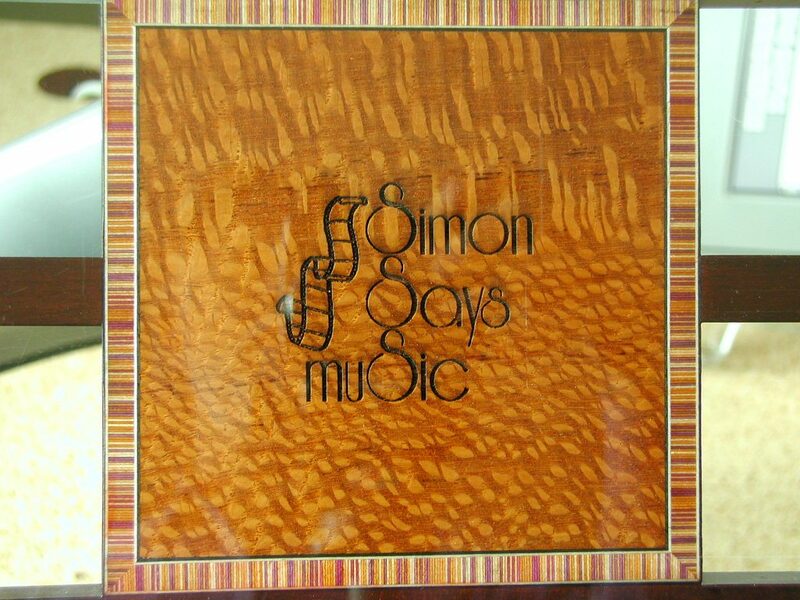 A fun project for a talented and gracious client. M.F. 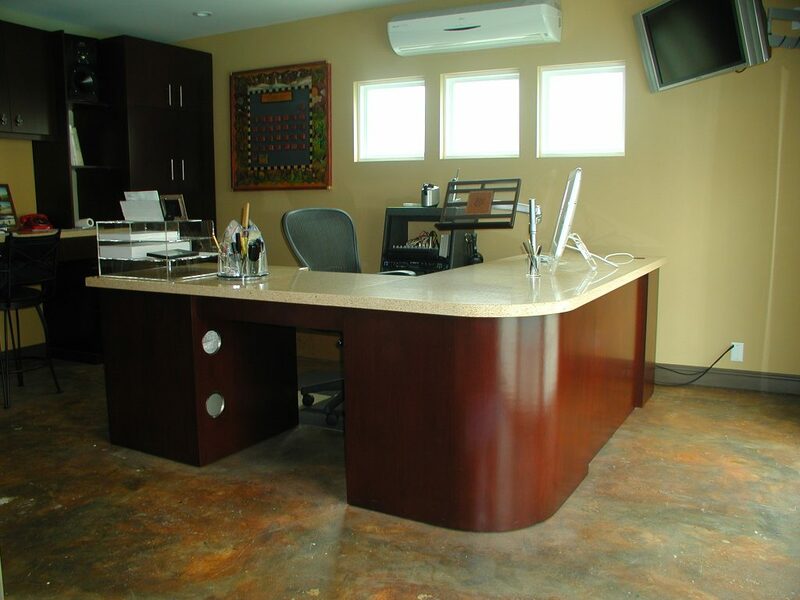 Operations: Curved Components and Shelves, Drawer and Pull-Out Construction, Music Stand Inlay.